with download code in sleeve. "I have a natural affinity with France, which seems to span a large proportion of my adult life. Thisalbum is based directly on experiences, feelings and emotions garnered from times spent fairly recently in Brittany and Normandy, on different occasions. There’s a certain feeling, when you enter a rural French village on an Autumn mid-afternoon. It’s as lower pace of life than we’re generally used to; the Centre Ville can feel deserted, as many of the inhabitants are, ironically, away on holiday. As the village church clock tolls, it strikes home a simplicity, a purity of existence that couldn’t really exist elsewhere. As impressive and immersive as anything I've heard, this collection is a testament to Brooks' skill as a sound designer and songwriter. It is at once bold and chilling, forges memories and dreams carved out of the juxtaposition of unease, and the comfort of symbiotic communication. 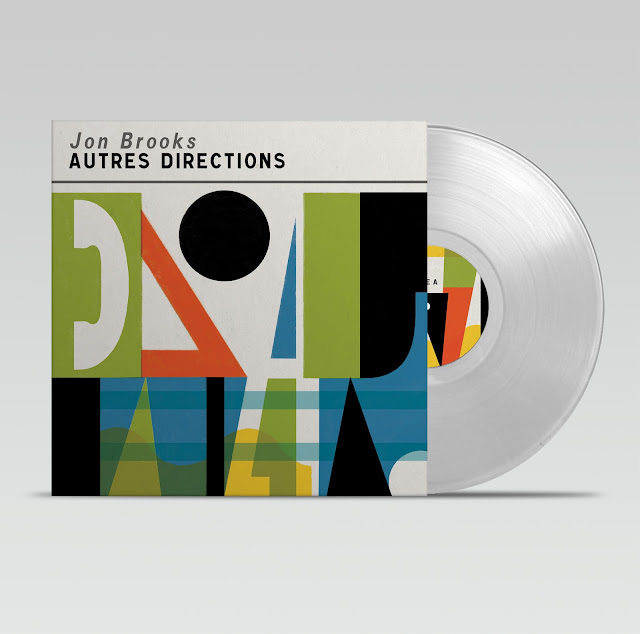 Autres Directions is a thing of wonder, and yet more evidence that Jon Brooks is indeed one of the greatest composers out there today. Barry, Piccadilly Records, Manchester. Musically there is much to place the record in the ongoing artistic development of its author. Part episodic series of ethereal soundscape canvasses, part field recording driven hauntological essay, part ambient/prog reinterpretation of the kind of approach the likes of Pink Floyd, Harmonia or Eno were aiming for in the 1970's - In totality it reflects all of this whilst retaining its own robustidentity and makes for a deeply immersive sonic experience that reveals great depth with repeated listens. Shaun Rogan, The Active Listener.